8 men met in the gloom at Union Point Park to Ruck It out. Double Dipper (FNG) joined us for a faster than normal Ruck pace. After reviewing our mission and purpose, we jumped in. We finished with COT and Name-O-Rama. Welcome to Double Dipper – great work this morning. Prayers for Hilfiger as he ventures on a cross the globe journey for the next few months. Support Purdy Mouth and Door knob for their show at New Bern Civic theater this weekend. Thanks for the opportunity to lead! 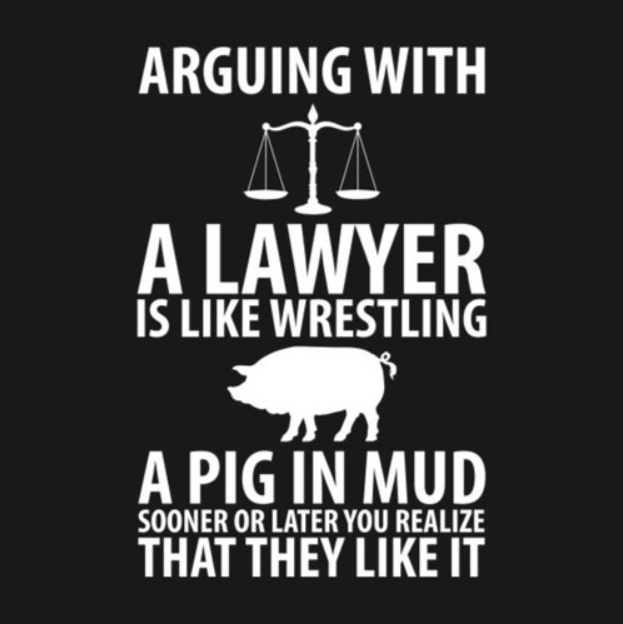 Have a great week everyone! Today, a Pax of 4 decided not to fall for the old “It’s still winter in April” gag that the weather was trying to play on us. As YHC has been absent for 2 weeks due to sickness and travel, it was decided to ease back in to our rucks and make sure our foundation was still sound. After gathering at the appropriate time and place, a hearty welcome was delivered, along with the Mission Statement and Disclaimer. From there, we began. 1 mile ruck – Gazebo, over and back across bridge, stop at short brick wall in front of Convention Center. Once all Ruckercise was complete, we needed to catch our collective breath, so it was time for another 1 mile ruck – Convention Center, over and back across bridge and return to Gazebo. Hard Stop @ 0615. Circle up for Count-O-Rama, Name-O-Rama and Announcements. 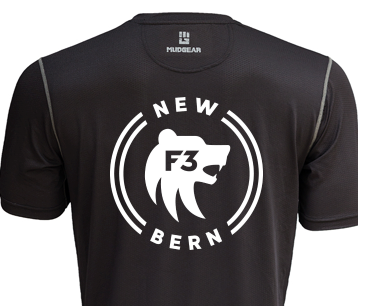 Be on the lookout for a new F3 coming to Jacksonville. Day 1 is May 11. Also, YHC is expecting F3 Crossbones to put out info regarding this year’s version of Sasquatch. Glad to be back in the saddle today, men. Pax got a little better than they were a few days ago. A Pax of 6 gathered this morning in the cool and under a beautiful moon for an early morning stroll around the Historic District. Kotters to Cantore for his appearance out of the gloom. The 40lb sandbag made another visit and was a constant companion for our journey. YHC gave the Mission Statement and Disclaimer and a brief overview of the morning’s festivities. Schrute has informed his Rucking brothers that he intends to sign up for a GoRuck event in late June. With that in mind, YHC devised a plan to help Schrute prepare for said event (he was free to veto the plan at the outset, and modify at any time during the evolution). Each Pax would take a turn of unspecified time/distance hauling the Sandbag (in addition to his trusty Ruck). Upon a time of that Pax’s choosing, the Sandbag would then be transferred to Schrute. Once Schrute was done with his time, he would pass to a different Pax. Once finished, that Pax would return the Sandbag to Schrute. And so on it went. Schrute took every other exchange of the Sandbag. He was free to carry either individually, or with a buddy Pax as needed. YHC is happy to report that Schrute did not shy away from any of his turns. All Pax had a turn with the Sandbag and were able to maintain a pace which allowed us to cover a distance of approximately 2.3 miles in our allotted time frame of 45 minutes. This pace would be on par with what was encounted by YHC at last year’s Sasquatch (disregarding the final 5k or so) as well as the GoRuck event completed in November 2018. Good conversation was enjoyed by all this morning. Pax gathered under gazebo for Count-O-Rama and Name-O-Rama. YHC closed in prayer — remembered include our F3 brethren who posted for the Fartlek this morning. Good luck to all F3 Pax who will be posting for the Bridge Run this weekend. As a reminder, Thursday’s Black Ops has a Ruck Only Option — Roughly 2.5 – 2.6 miles to be completed in under 45 minutes, with no other Ruckercise. YHC will be happy to be your guide & pace setter if you want to give it a try (as long as I’m in town, not sick, etc., etc.). On a beautiful, spring-like morning, seven men posted at Union Point to Ruck-It out! The PAX completed a partner version of the 300 workout which proved harder than expected with the Ruck pack. After a brief explanation of the plan for the workout – we jumped in. Great showing this morning. Thanks for putting in the work everyone! 1 mile ruck (picked up Mr. Roboto at his vehicle as we went by) across Trent River Bridge and back to grassy area near Gazebo. Sense of foreboding overcame some of the Pax on the way back. Station 1 – Bear Crawl with Ruck Drag – Start at 1st bucket and go to/around 2nd bucket approximately 20 yards downrange. Alternate arms for Ruck Drag on return trip back to 1st bucket. Interesting modifications on display here. Station 1 was our pace setter. All other stations performed AMRAP of their particular Ruckercise while the Bear was crawling and dragging. Welcome Stegosaurus! Your old man is not too shabby, huh? Kotters to Doorknob. Good to see you again out in the gloom. As always, a pleasure and an honor to lead. Sputnik on Q for Bushwood. Wonder if he knows it’s going to be cold that morning?